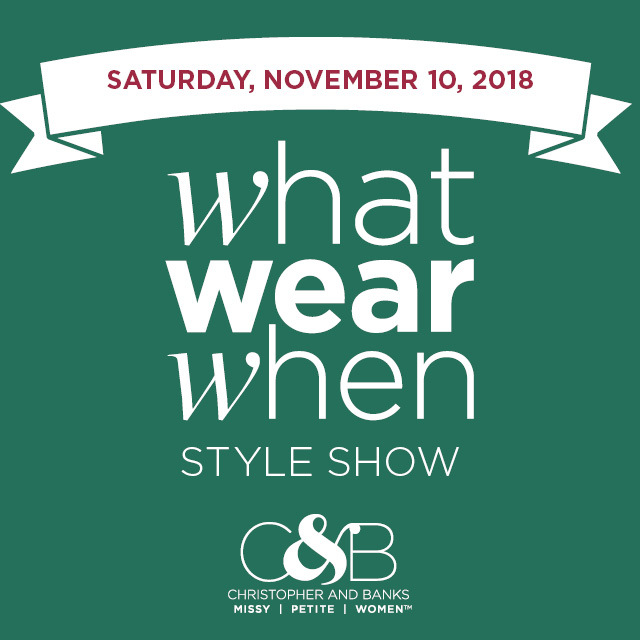 Mark your calendar and join Christopher & Banks for our What, Wear, When Holiday Style Show on Saturday, November 10, 2018! Celebrate the season with fresh new looks, holiday event dressing tips, and fun conversation. Local women from your community will be modeling their favorite holiday styles, showing ways to mix and match to get their perfect fit. We'll be showcasing our latest collection on fabulous real women. Contact your local store for show times! #MyCBStyle.